Autonomous driving will soon be upon us. You need just look at the strides being made with adaptive cruise control to realise that: our most recent Mercedes-Benz S-Class test car was already able to steer itself (even though it got very angry with you if you kept your hands off the steering wheel for more than a few seconds). But Porsche has a different take on the whole adaptive cruise control movement, even though you will still have to do all the steering. The sports car marker is working on a new system it calls InnoDrive, which aims to get the driver to his or her destination as quickly as possible, while consuming the least amount of fuel. To do this, Porsche has pulled a page out of Rolls Royce’s navigation handbook: the British marque uses gradients and corner radius data to pre-select the correct suspension and gear setting on its cars. 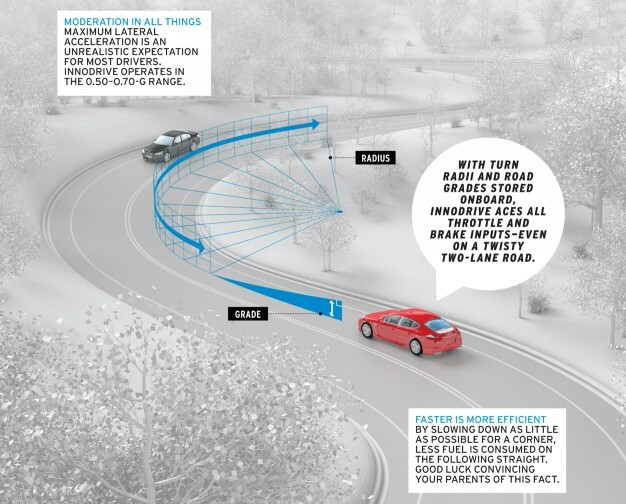 Porsche employs that oracle data to populate its adaptive cruise control system, so that the car will know when the gradient of the road is about to change, as well as how sharp the upcoming corner is. The goal is to keep the car’s engine working in its brake-specific fuel consumption (BSFC) window, or where the engine is at its most efficient. This usually occurs at full throttle near the maximum torque generation point, and it is where you would want to spend the majority of you driving time. Armed with BSFC parameters and what the road is going to do, the adaptive cruise control will be able to accelerate into an uphill, which is more efficient than reacting to a change in speed. It will also know when it can start to accelerate based on a corner apex, and even go so far as to plan what the best speed for the corner would be, based on a perceived optimal lateral g-force rating. These technologies should reduce the amount of time that car uses the brakes, and thus improve how well momentum is maintained, while keeping the engine snuggled up in the BSFC window. 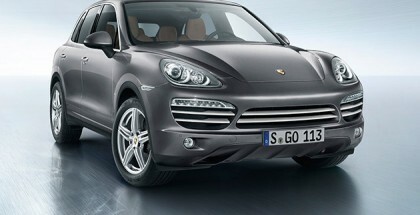 According to Porsche, this technology will be available by 2020. 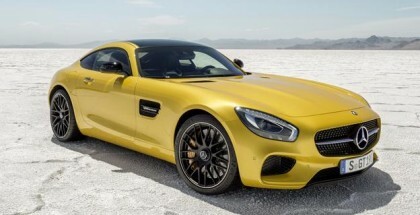 Our only question is whether autonomous driving and sports cars go hand in hand at all. While we can see Cayenne and Panamera drivers taking the proverbial back seat, mug of coffee and morning papers in hand, who wouldn’t want to have full control over their 911? I understand this for a normally aspirated car where the torque climbs to a certain point and then starts dropping again, but my Peugeot’s 1.6L Turbo engine has a flat torque curve from 1500 rpm to 5000 rpm. Where would the BSFC window be on this type of engine? There isn’t a hard and fast rule when it comes to BSFC and each engine is different. What I didn’t mention in that article is that efficiency is defined as where the engine generates the most power from each gram of fuel, so you are looking at three variables: engine speed, torque and fuel economy. Without knowing what your Peugeot’s specific BSFC map looks like it is impossible to know where that sweet spot is. There are other rules such as on modern cars, the most efficient speed to travel at is normally 100km/h as that is where wind resistance is at the point where engine output for an increase in speed becomes exponential. But even this doesn’t really help you figure out BSFC because you have a forth variable in play, namely air resistance. I think your best bet would be to email Peugeot and ask if they would be willing to send you the map for your particular car. Here is a link to a view maps (the VW 1.4 TSI one is probably the most relevant to you) so that you can see how they vary. Thanks for your response. I know my question is actually quite academic. We studied all these things in Thermodynamics at Tech back in the late 90’s. But at that time the engines were still less complex, and we were also taught as per your article that the most thermodynamically efficient point is at full throttle at maximum torque. But as engines became more complex and turbo charged with flat torque curves I always wondered how this point would change. I’m sure on my car (it shares it’s engine with the previous generation MINI) it would still be around the 4000rpm mark. You can feel the engine come alive at this point and more willing to rev as with most 16 valve engines, so I’m sure that is also where the airflow into the engine is at it’s best. But as you also said, this is not where the engine will use the least amount of fuel, and unless you have a CVT gearbox it’s almost impossible to keep the engine at that specific point all the time. I learned this weekend how much lighter on fuel my car can be if I drive a little slower. Normally I stick the cruise control on at 130km/h (according to the gps we then travel at 127km/h and avoid speeding fines) and the car must maintain this uphill, downhill etc. This weekend we traveled with friends who drive a 250KB Isuzu, so we went a lot slower, and the fastest I had the cruise control set at was 120km/h. 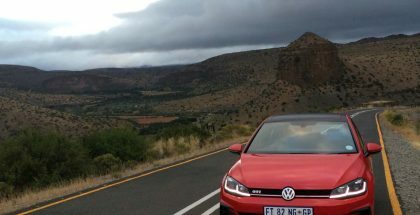 I also slowed down on the uphills so that they could keep up, and I returned 6.9L/100km from Margate to JHB, a saving of about 0.8L/100km on what I would normally get. I traveled a lot for work at one stage, and calculated that if I take my time cost into account I’m still better off driving at 130km/h and using more fuel, than what I would be driving at 100km/h and using less fuel but more time. Thanks for the link, I’m going to go look at it now. Thanks for updating us on your personal experiences. I do exactly the same thing with time vs speed vs fuel consumption, BUT I did pull a economy run on Monday on the way back from Pretoria to Johannesburg and didn’t feel like filling up before I got into JHB. stuck to 100km/h and the difference in consumption was probably in the region of 10-15% better than normally.